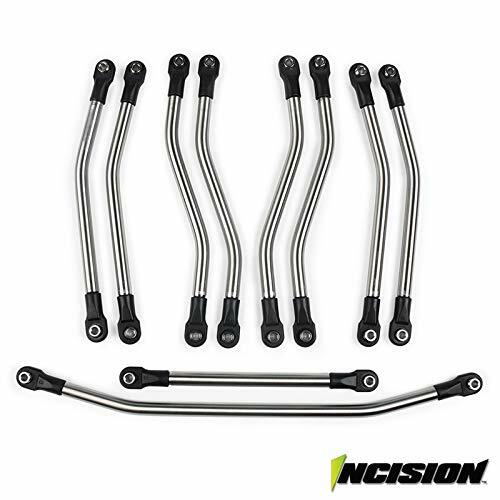 The Incision 1/4 Stainless Steel Link Kit for the Axial Wraith is a more affordable link option from Vanquish. Featuring the same design and durability features as the renowned Ti Links, but machined from stainless steel for a dramatic price savings. All inclusive kit, includes 4-link rods, as well as steering rods and more durable Traxxas rod ends with hollow balls. If you have any questions about this product by INCISION, contact us by completing and submitting the form below. If you are looking for a specif part number, please include it with your message.